The European Space Agency (ESA) has unveiled the spot where its comet-chasing Rosetta mission will attempt a perilous landing on a volatile space body, the agency said in a statement on Monday. It is anticipated as the first comet landing in history. The Rosetta spacecraft’s Philae lander is to land on the irregularly shaped 67P/Churyumov–Gerasimenko comet – currently travelling through space some 440 million kilometers from Earth – on November 11. 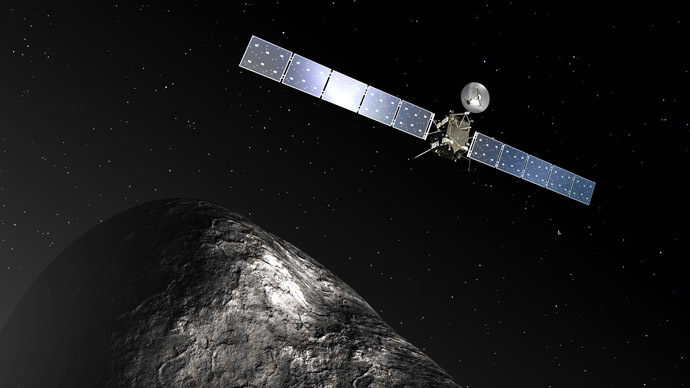 Five sites on the comet were previously identified by the ESA, however only two were chosen suitable for landing as they pose minimum risk to the lander compared to the other candidate sites. Site J located on the ‘head’ of the comet, which in shape resembles a rubber duck, will be Philae’s primary destination. “The chosen site offers unique scientific potential, with hints of activity nearby, and minimum risk to the lander compared to the other candidate sites. The decision to select Site J as the primary site was unanimous,” said the agency in a statement. “Site J in particular offers us the chance to analyse pristine material, characterise the properties of the nucleus, and study the processes that drive its activity,” said Jean-Pierre Bibring, a lead lander scientist and principal investigator of the CIVA instrument at the IAS in Orsay, France. The second “backup” spot – Site C – is located on the ‘body’ of the comet. “As we have seen from recent close-up images, the comet is a beautiful but dramatic world – it is scientifically exciting, but its shape makes it operationally challenging,” said Stephan Ulamec, Philae Lander Manager at the DLR German Aerospace Center. The search for the landing site could only begin once Rosetta arrived at the comet on August 6 and scientists were able to get a close-up for the first time. 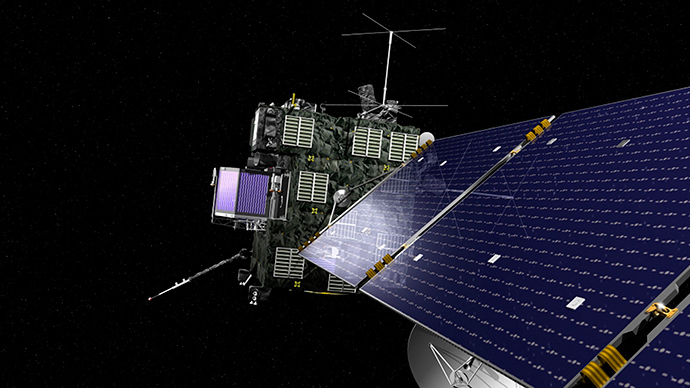 Rosetta is scheduled to release the 100-kilogram Philae lander in mid-November. 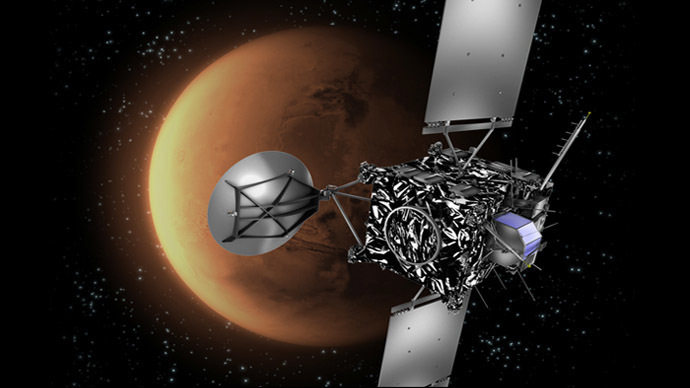 The lander will then glide down to the surface of the icy body. “When it touches down, two harpoons will immediately be fired into the comet’s surface – almost simultaneously. The lander feet are equipped with ice screws that will be pushed into the surface. 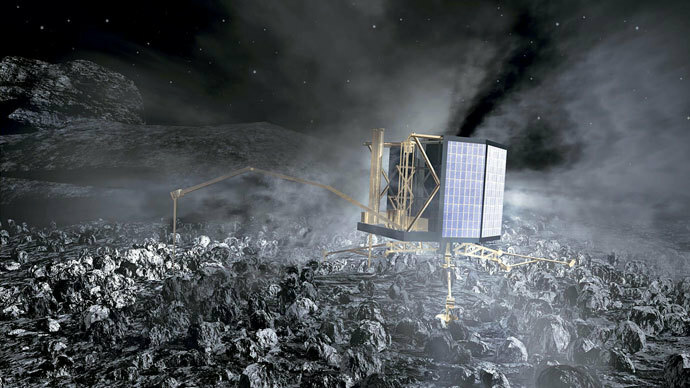 During the landing, a cold gas thruster will fire from the top of the lander and push Philae down onto the comet surface,” said Ulamec, according to the German Space agency DLR’s website. He added that the landing will be perilous as there are various things that could go wrong. Technical failures could occur, or the comet’s volatile environment could cause problems. The first surface research of a comet aims to use scientific data collected from the rock to gain a better understanding of the complex processes which led to the birth of our solar system, scientists said. “We will make the first ever in situ analysis of a comet at this site, giving us an unparalleled insight into the composition, structure and evolution of a comet,” said Bibring. 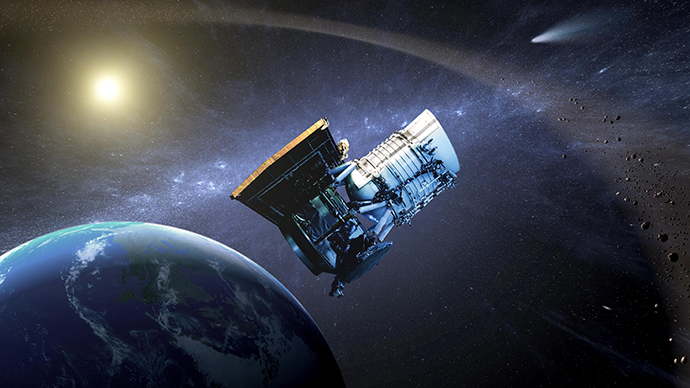 As the most primitive objects in the Solar System, comets have remained mostly unchanged since they were formed and carry essential information about our origins. The Rosetta mission gets its name from the famous Rosetta stone, which led to the deciphering of Egyptian hieroglyphics almost 200 years ago. Similarly, scientists hope that Rosetta will unlock the mysteries of how the Solar System evolved.